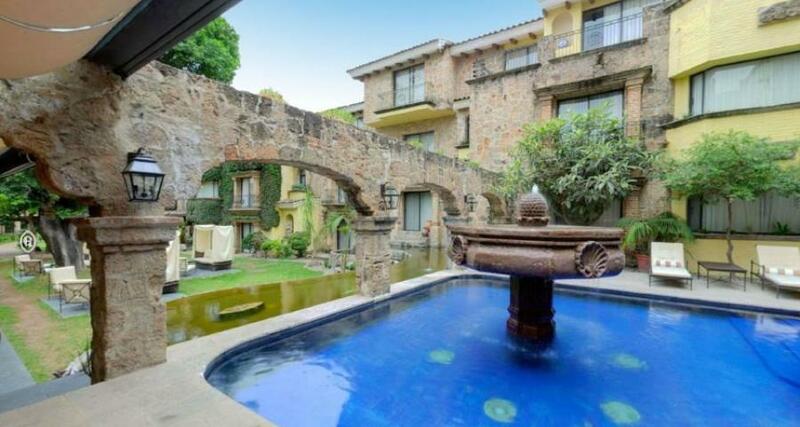 Quinta Real Guadalajara is a luxury 5* resort located in Guadalajara, Mexico. It features 76 rooms and swimming pools. Quinta Real Guadalajara mixes the Mexico of old with the amenities and services of modern life to make it ideal for a peaceful and relaxing stay in beautiful Guadalajara, a city also known locally as "The Pearl of the West". The colonial architecture, cobbled floors, stone archways, and lush gardens help to create a private and comfortable atmosphere at this attractive property.